Sally Gould wanted to be an astronomer when she grew up but instead she studied law and politics at university and became a corporate lawyer. After having her second son she did a writing course, and began writing for children. That's when she decided that writing children's stories was for her. 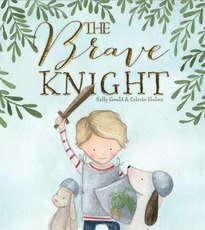 The Brave Knight is her fist published picture book.